Pros: Geared 2! is easy to start playing but keeps increasing the challenge. Cons: Without hints or help, kids may eventually get stuck at a challenging level. 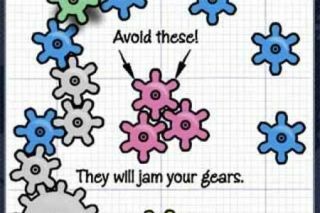 Bottom Line:Students will need to use logic and trial-and-error skills to learn how gears work.